Today, in the U.S., being overweight is an issue faced by many Americans. I know because growing up, I was the heavy kid in class. When I reached adulthood, I worked in the fitness industry and made it my goal to maintain a healthy lifestyle. I knew that eating right was a key factor in maintaining that goal. Prepping meals for the week worked well for me. That is until after the first week and it hit me how bland the food started to taste after eating the same thing for five days. I looked into ways to liven up my meals, but everything I came across either comprised the nutritional aspect or there was simply just not enough flavor to satisfy my needs. Then I started thinking, why not create my own? Growing up, I was in the kitchen cooking every meal with my mother. Throughout the years I became fascinated by food and my passion for cooking grew and grew. From taking cooking classes, to reading multiple different books about food and cooking, to watching and taking notes from shows on the Food Network, I wanted to learn as much as I could. Today, my family and friends consider me to be a great cook, for I am always eager to learn different techniques, try new foods and create exciting and flavorful dishes of my own. 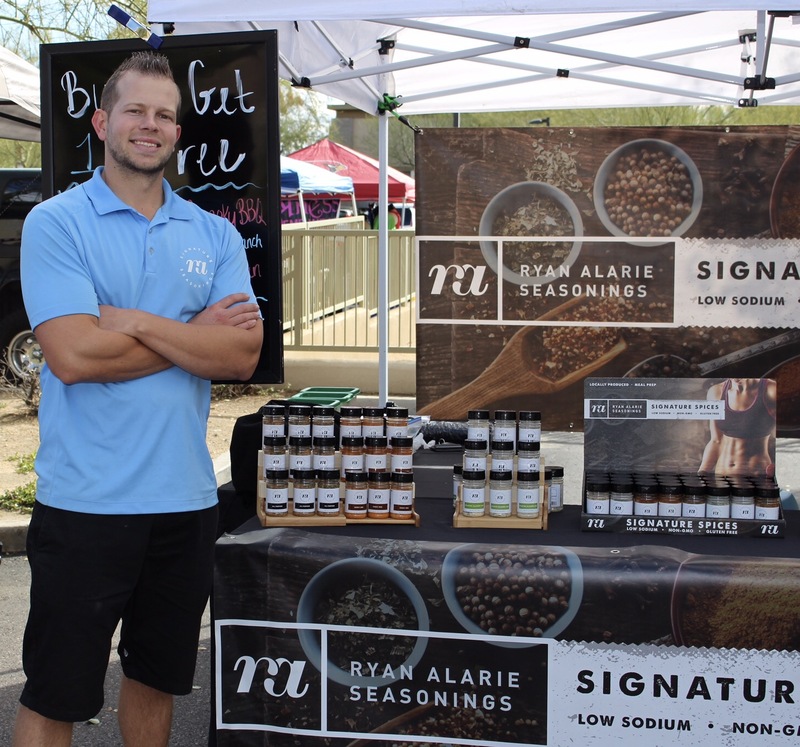 RA Seasonings stems from my journey of cooking and passion for food. I started by growing fresh herbs and vegetables in my home garden, located in Tempe, Arizona. I experimented for months to create seasonings that were full of flavor without all the sodium and fillers packed into other seasoning brands. So far, I have created 10 quality seasonings that I am truly proud of. Every day I am experimenting with new herbs and vegetables in order to create more flavorful and healthy seasonings.